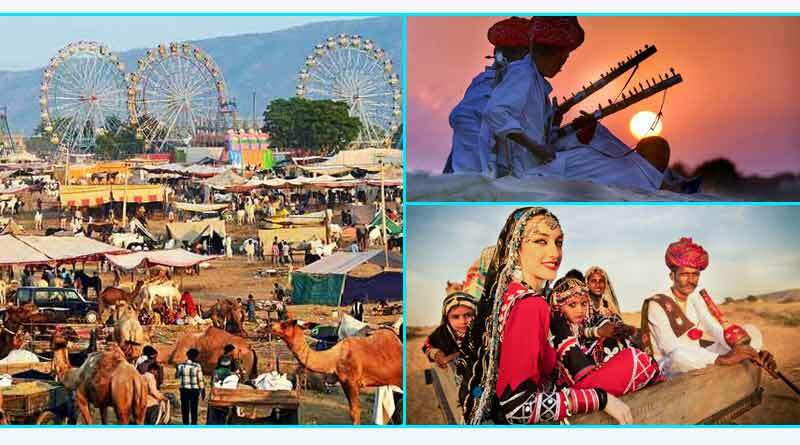 The famous Pushkar Fair or Pushkar Camel fair is celebrated on the full moon day of Kartik month according to the Hindu Lunar calendar for 5-8 days, which normally falls in the month of November each year. The people visit the Pushkar Lake as a pilgrimage to take a dip, during the full moon day which is believed to help you cleanse to achieve ‘Moksha’ or liberation. A festival is a mega event taking place in Pushkar, Rajasthan, India, where many national and international travelers come and participate; the total number of people coming for the fair can go up to 400,000 or more. This festival brings various opportunities for fun, enjoyment, business, and exploration. The local people dressed in their traditional ethnic costumes add color, joy, and spectacle to the festival. Their cattle are also decorated with colorful ribbons, pom-pom, tattoos and markings, and other jewels. 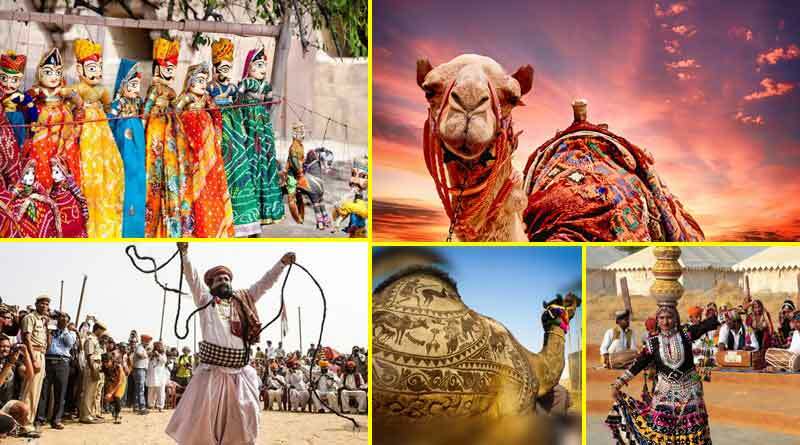 The Pushkar Camel Fair includes various folk dance performances, games like tug of war, ‘Matka Phod’ or Breaking the Pot, Bridal competition, etc. for men and women, Camel Dance competition etc. for animals. It invites many local street vendors to sell their famous and most sold delicacies, the various stalls introduce you to the mouth-watering Rajasthani Cuisine. The local handicrafts and other Rajasthani ethnic wears and jewelry for men and women are put to showcase and sell. For the local traders, it is the time to make a great business, to flaunt their new products and other variety of stock. The local people bring their cattle, horse, cows and other livestock to showcase to the eligible buyers. The festival brings forth the culture of Rajasthan and gives us a glimpse of a simple, rustic and colorful life of the people there. For the travelers and tourists, various tent camps and other makeshift accommodation is arranged by the Rajasthan Government and other agencies, so that you make most of the festival day and night. The month of November with the soothing Sun and cool breezy nights amidst the sand dunes makes it the best time for the fest. You can reach Pushkar via train, bus or taxi from Ajmer which is approximately 16km away by road from Pushkar, Ajmer is the nearest biggest Railway Station or via taxi from the nearest Kishangarh Airport, Kishangarh which is 27 km north east of Ajmer or via Sanganer Airport, Jaipur which is 146 km away from Pushkar. Since the Fair festival calls many tourists from India and Abroad, beware of the pickpockets, beggars and other vendors who charge exorbitant rates for simple stuff. 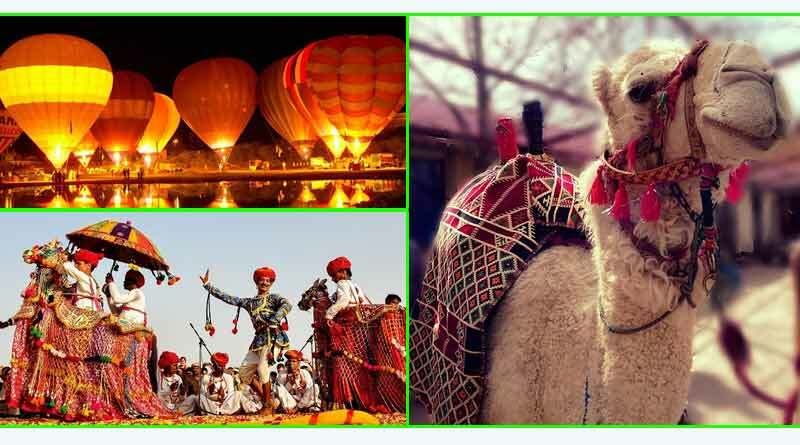 If you are planning your next vacation you can include the Pushkar Camel Fair in your itinerary and explore ‘Mharo Rajasthan’ ie Our Rajasthan. 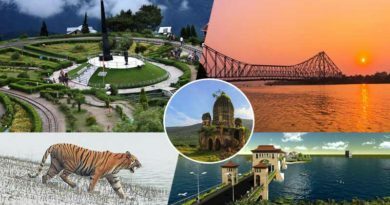 ← Hindi diwas 2018 – भारत में हिन्दी दिवस क्यों मनाया जाता है?